Hoppin’ Good News: We’re selling tickets to the Disneyland Resort! 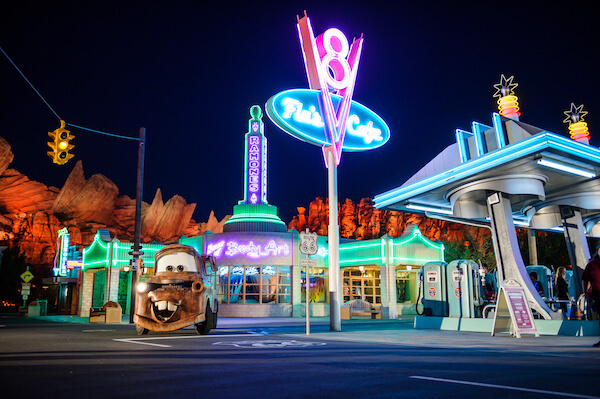 Take a look at our discounts on Disneyland tickets, including Park Hoppers for Disneyland Park and Disney California Adventure Park. Ribbit! Attention all gamers. 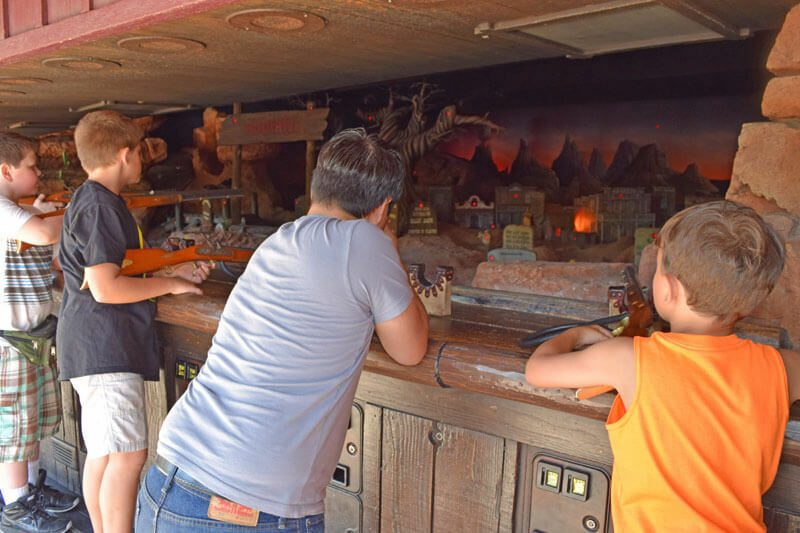 If you love to play games (video games, shooting games or even carnival games) you’ll want to know where you can test your skills at Disneyland. 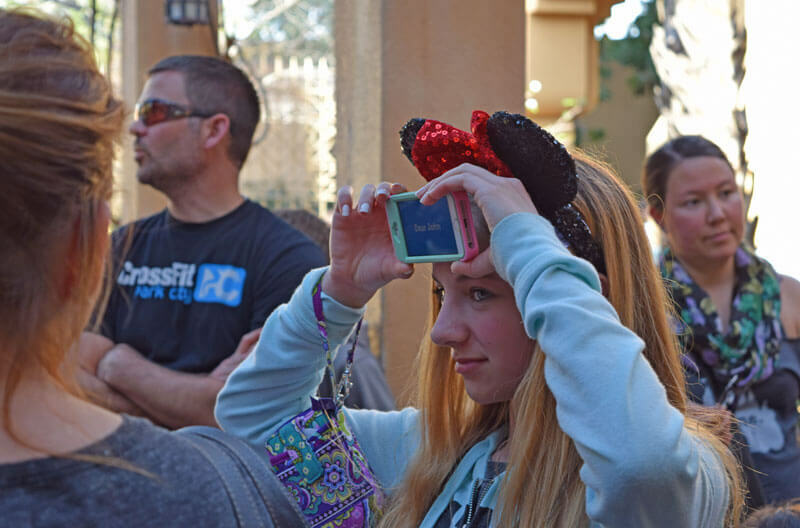 If you are a parent of a gamer, here’s what you need to know to keep your kid connected and engaged with you at Disneyland. You just might have some fun playing with your child, too! 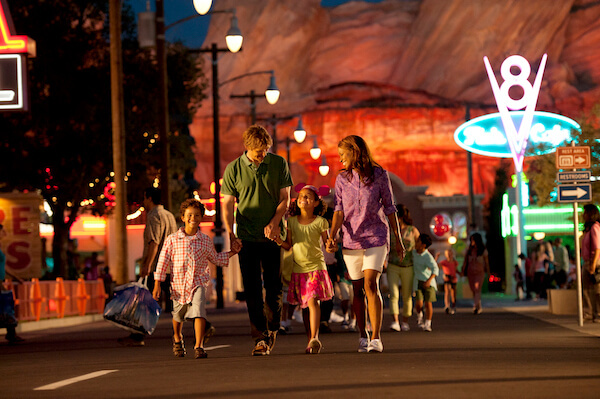 The good news is that there are nine ways to play at the Disneyland Resort. 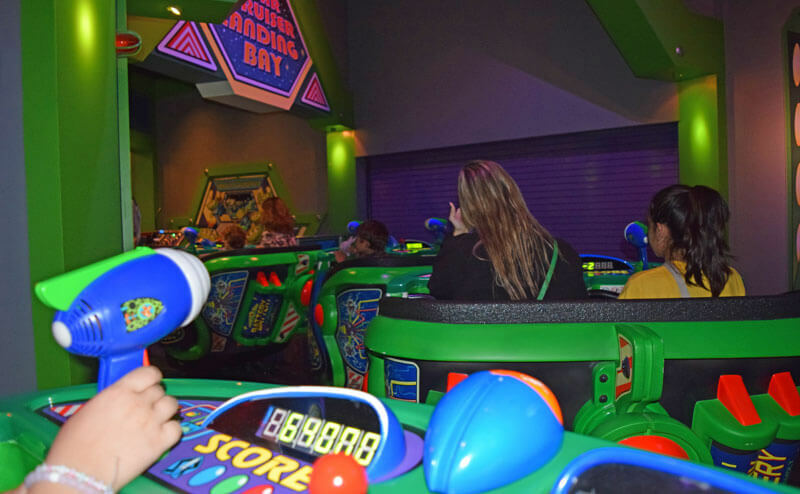 This Disneyland ride/shooting gallery utilizes lasers to defeat Zurg. The targets have different values, so do your research before heading to the park. Circles are worth 100 points. Squares are worth 1,000 points. Diamond are worth 5,000 points. Triangles are worth 10,000 points! When shapes light up, they are worth 10 times their regular point values, but only for the first person to hit them, so shoot quickly and accurately! There are a lot of tips online for how to score higher (such as sit on the left, make sure to fire repeatedly at the same target, and to keep shooting even if the ride stops). Each room has valuable targets hidden in plain site (including a little hole in Emperor Zurg’s chest worth 50,000 points). You just have to know where to look for them (even the dark tunnels have targets with lights going across them). After the ride you can register your score at the kiosks and email yourself a photo. That makes a great free souvenir! If you love shooting games, this western shootin’ gallery is old-school cool. Moms of cowboys and cowgirls will be happy to know that the rifles shoot an invisible beam of safe infrared light. When you hit your target you will be rewarded with lights, sounds and animations. This attraction requires a fee, and each credit is worth 25 shots. You can aim at stationary and moving targets straight out of the Old West. Toy Story Midway Mania in California Adventure is a favorite ride with gamers and really just about everyone. Serious gamers would get very addicted to it if the line were not prohibitive. 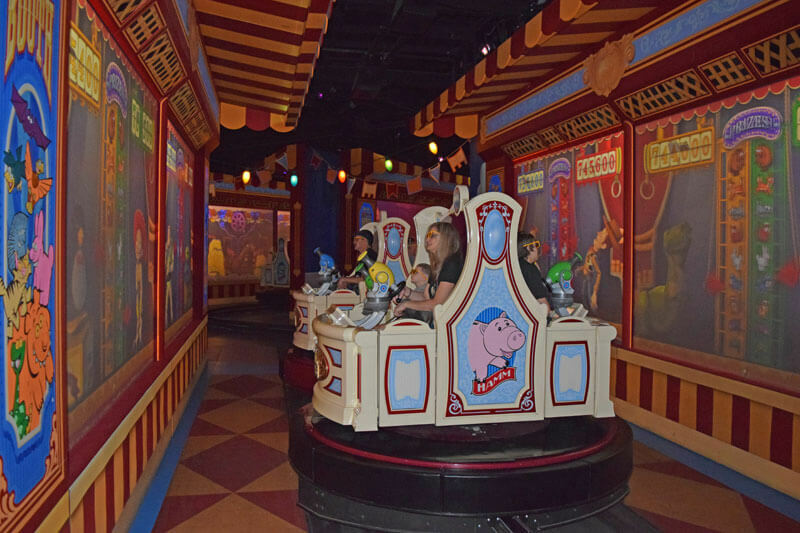 The 3-D ride takes you through a series of five different games. Research the secrets to unlocking the higher point targets (hint: there are a lot of tips online). 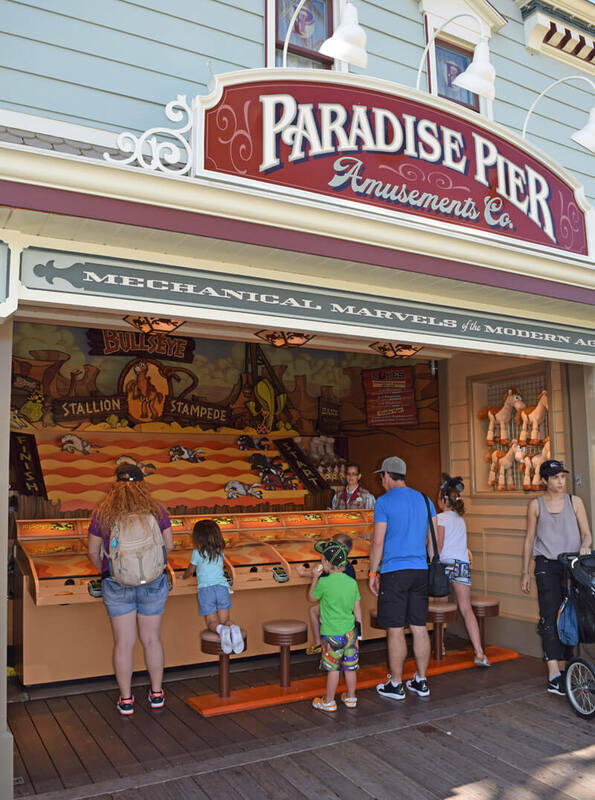 Just outside of Toy Story Midway Mania, gamers will find four old-fashioned carnival-type games. You can play for real prizes, such as Disney stuffed animals. But don’t worry about skill level; even little Lily has been known to take home a few prizes (the fishing game is popular with little gamers because everyone’s a winner, and that is always a win-win for toddlers and preschoolers). The other games are a little more challenging and test pitching accuracy, water-aiming skills and ball-rolling speed. The Frog Family likes to play together to increase our shot at bringing home the prizes. To play, you’ll need to purchase a card with prepaid credits at a machine in front of the booths. Mommy Frog budgets some souvenir money for these games, which always earn us some souvenirs. You can find this toadally awesome 10,000 square foot video game arcade in Downtown Disney. 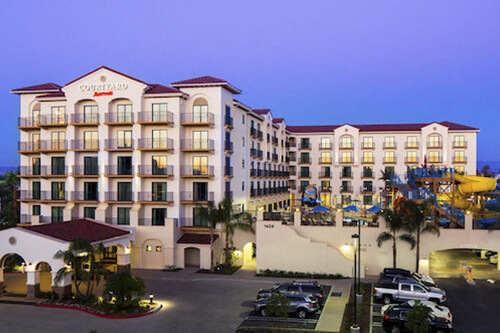 Experienced gamers will discover plenty of sports excitement, action and arcade entertainment. Purchase the card at the Starting Line at the top of the stairs and fill it with points. Sports fans will like testing their pitching speed and accuracy, bowling, boxing or making jump shots. Traditional gamers will find plenty of entertainment with high tech arcade games. If you are staying on the Disney Property, you can find this small family friendly arcade at the Paradise Pier Hotel. The games accept tokens. Here’s a game you can play at California Adventure on your own smart device. You can play the Fun Wheel Challenge at Paradise Pier before each showing of World of Color. The winner gets to control the lights on Mickey’s Fun Wheel for 30 seconds. I’d make it green! When you are near Mickey’s Fun Wheel, join the “PierGames” Wi-Fi network. You can play right in your browser (you do not need to download any apps). To play the game, you match the sequence of colors on the wheel by tapping the colors on your screen. I don’t know about you, but I would much rather play a game than just stand there while waiting for the show to start. I offer one last piece of advice to gamers. You can play group games while waiting for rides or shows. A popular game we see people playing in line is Heads Up! Make sure you play games with the people you are traveling with rather than playing games alone on your device. I mean, your parents did take you on this great trip and want to spend time with you, so include them and your siblings or friends in your games. Another fun game that does not need any device is 20 Questions. You can even it make it Disney themed. For example, when we are at Universal Studios Hollywood we play Harry Potter 20 Questions. It will be much more fun for everyone if you all play a game together. I love playing all kinds of games, so I always enjoy hopping over to these great rides and games when I am at the Disneyland Resort. 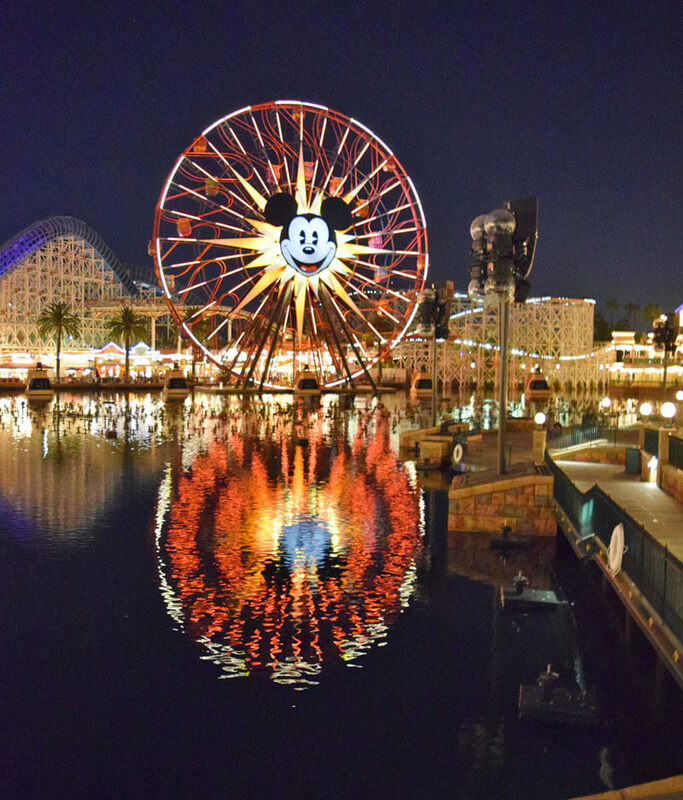 If you are a teen or even soon to be one, check out my favorite things to do at both Disneyland and California Adventure. You might enjoy them too!